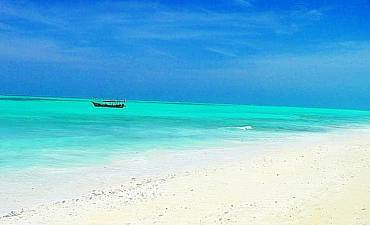 Want A Day Tour In Zanzibar? Scroll Down Details.. 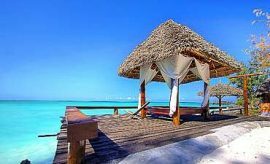 Despite its diminutive size, Zanzibar Island has something to offer every kind of traveler in Africa, from the history enthusiast to the underwater realm explorer, coastal habitat wanderer, the spice flavored cuisine aficionado or active-water buff and many more. 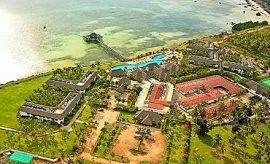 All of these touristy places of interest are alluring interwoven with the casual, laid-back Swahili ambience of the island where time seems to progress at a snail's pace. 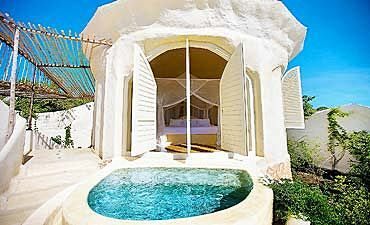 Arrive at Zanzibar and you will be instantly engulfed in its bygone era charm. 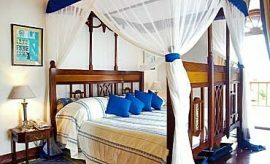 Explore its old metropolis capital center, Stone Town, and you will see a fascinating mishmash of old buildings with the exquisite Zanzibari architecture of carved doors and delicate, lattice windows. Wander with an expert AfricanMecca guide through its narrow streets and shop for beautiful handmade craft, delicious seafood cooked with the fresh catch of the day, striking painting and exquisite jewelry, spices to take back home, fresh, luscious fruit and colorful fabrics. 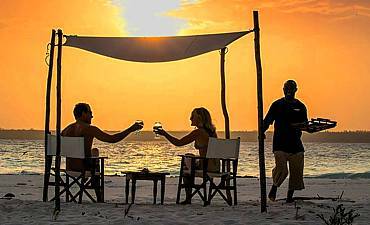 Looking for knick-knacks and mementos of your dream vacation in Zanzibar for your family and friends back home, you will find them all here. Music lovers can visit the Dhow Countries Music Academy on Mizingani Road in Stone Town. Every year, Sauti za Busara hosts a music festival annually in February at the Old Fort and Forodhani Gardens. Zanzibar has long been well-known as the Spice capital, not just because it was an important historic stopover trading port but because of its many spice farm. 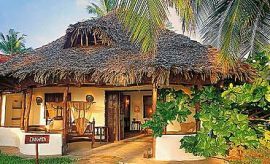 Tour the plantations as it is one of the top ten things to do in Zanzibar. Here, you can see the zings in their raw form and learn about their remarkable properties Spices do more than imparting that special flavor to your food, they are used to create effective medications and even color traditional wedding garb and as a lipstick too. Jozani Forest comes almost as a sightseeing surprise because it is hard to imagine that the tropical island of Zanzibar can even host a terrestrial national reserve as one of the natural attractions. Established in the 1960s, this conservation area is a good place to visit as it serves to protect the rare red colobus monkey and also many diverse species of flora and smaller fauna from sykes’ monkeys to Ader’s antelope. 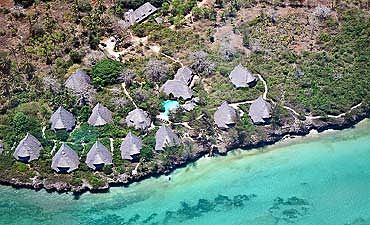 Another delightful facet of this reserve is that it is located on Chwaka Bay and includes a marine forest of mangrove trees that you absolutely must explore when on your wondrous trip in East Africa. While your discovery of the treasures of Zanzibar's marine world inaugurates with the mangrove forest of Jozani, you must snorkel or scuba dive at the distinct reefs that lie all around Zanzibar. The coral reefs along the coast are breathtakingly beautiful, and some of them are a part of protected reserves e.g. 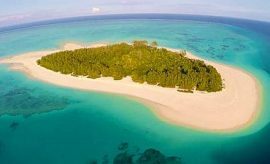 Chumbe and Mnemba Atoll. There are almost unending walls of living coral and an unbelievable variety of wondrous sea creatures. Should you ocean tour off the coast of Tanzania during the migratory season, you may also spot humpback whales and whale sharks too. Anglers will enjoy raising and snagging a fascinating range of sailfish, marlins, wahoo, barracudas, trevally, and yellowfin tuna to name a scarce few. Though fishing in Zanzibar is mostly permitted in deeper waters to ensure delicately protected corals are not damaged nor its resident reef fish wiped out. In an attempt to protect the billfish numbers and allow them to propagate, you might be asked to tag and release them. But Zanzibar has even more. Go on a horse riding excursion on the pure white sand beaches of Kiwengwa Beach. Or try your hand at quad biking in Kiwengwa also. 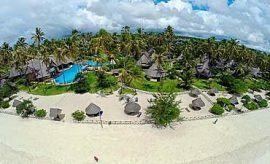 Take lessons in fitness with yoga sessions on the beach in Matemwe or at Mbweni Ruins while water sports lovers can try kitesurfing or windsurfing on the east coast. Round of your sustainable holiday on Paje Beach with a tour of the Seaweed Center for an understanding of their efforts to improve the livelihoods of the female seaweed farmers. Other day excursion options with AfricanMecca are dolphin swimming, island yachting, parasailing, jetskiing, wakeboarding, flyboarding, village biking and much more.